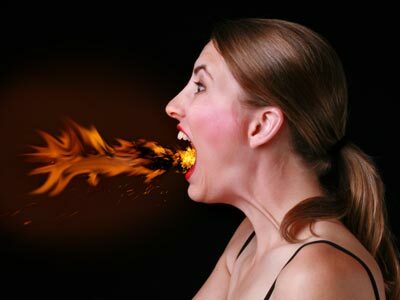 More than 10 percent of Americans experience the burning and discomfort of heartburn every day. What many do not know is that heartburn, or acid indigestion, is a common symptom of chronic acid reflux, also known as gastroeophageal reflux disease (GERD). Ways to reduce acid reflux is to avoid trigger foods and some beverages. These include: chocolate, spicy greasy foods, tomato based foods, alcohol, and coffee. It is important to refrain from eating several hours before bed or lying down two to three hours after eating. Losing weight, if one is overweight or obese, and not wearing tight clothing, is important to minimalize the effects of heartburn. If you smoke, quitting is a great start to reduce GERD, as well as, decreasing chances for oral and lung cancers. If you do have GERD it is extremely important to protect your teeth. The reason being is stomach acid can damage your enamel and cause decay. Practicing good oral hygiene is the best way to prevent tooth damage. It would be a good idea for you to brush twice a day and do not forget to floss. Visiting your dentist regularly is important for tooth enamel evaluations and fluoride treatment to strengthen teeth. It’s recommended that if one does have GERD, to use dentin-sensitive toothpaste such as Sensodyne ProNamel or Sensodyne original. When episodes of acid reflux occur, rinse your mouth with water or dissolve baking soda in water and swish around for sometime to get rid of lingering acid. When consuming acidic foods or drinks, DO NOT brush your teeth until 60 minutes afterwards. This is because the Ph in ones’ mouth is acidic and teeth become soft. Brushing could cause damage to the enamel. Lastly, try to avoid over-the-counter antacids – especially at night, they have high sugar content. Taken from the Academy of General Dentistry, May 2012.